Apple allows you to request a refund for any items you purchase from iTunes Store or App Store, providing that there is a problem with the specific purchase or you purchased it mistakenly. In such cases, you can request a refund. Keep in mind that refunds from Apple aren't guaranteed and you must have a real problem or a valid reason for requesting the iTunes refund. Step 1: Open your favorite Mail app on your iPhone. Step 2: Search for ‘Apple invoice’ in the app. It may display many results. Step 3: Go through the emails and find the receipt that contains items that you want a refund for. Step 4: Once you find it, tap on ‘Report a Problem’ link. Step 5: The link will open in your web browser. 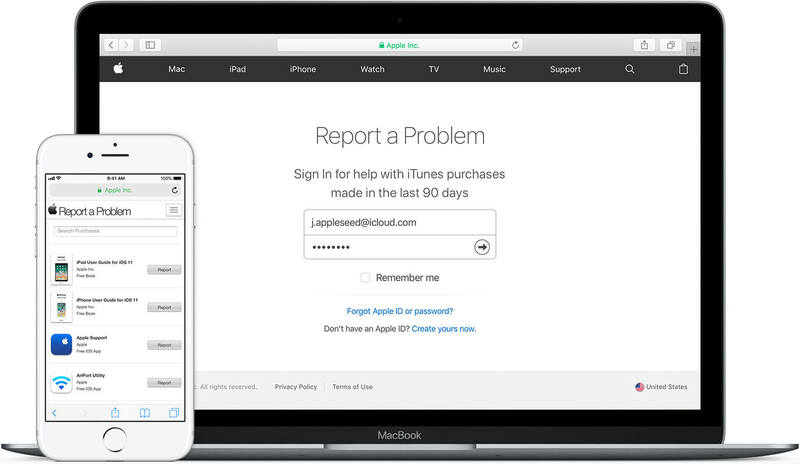 There, sign into your Apple account and report on the web. Step 2: Sign in using your Apple ID and password. Step 3: Select the option that relates to your refund. It will be shown on the top right corner of the webpage. Step 4: Find the item that you want a refund for and then click ‘Report a Problem’. Step 5: Now select a valid reason for requesting the iTunes refund and describe the problem. Step 6: Click Submit to proceed. Step 1: Open iTunes on your Mac or Windows PC. 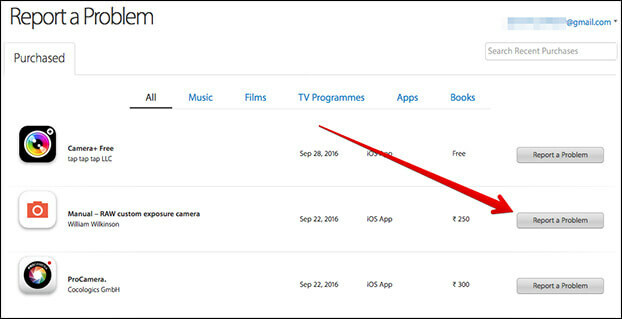 Step 2: Navigate to iTunes Store > Account. If needed, sign in using your Apple ID. Step 3: Now navigate to ‘Purchase History’ section and click on ‘See All’. Step 4: Find the item that you want a refund for and choose More > Report a Problem. Step 5: A webpage will open after this. There, select a valid reason for requesting the iTunes refund and describe the problem. Step 6: Click ‘Submit’ to proceed. 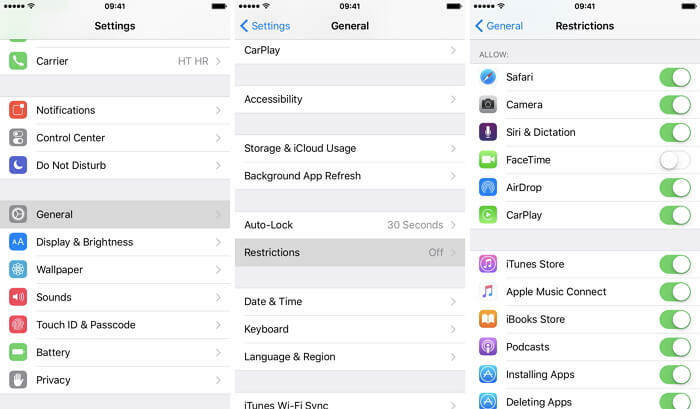 Step 1: Open Settings on your iPhone. Step 2: Navigate to General > Restrictions. Step 3: Once you are in that section, turn on Enable Restrictions. Step 4: You will need to enter your passcode in order to confirm your action. Type in the password to proceed. Step 5: On the next screen, turn off the ‘Installing Apps’ option. If you want to transfer iPhone music without using iTunes, it is possible with a third-party iPhone file transfer tool. iMyFone TunesMate is highly recommended in this regard. TunesMate is a powerful file transfer tools that works on both Mac and Windows PC and allows you to transfer files between your iPhone and computer. You don’t need to open iTunes to transfer music if you have TunesMate. The software also offers many additional features. Share your iTunes library with your family and friends even if they are using a different Apple ID. Transferring files via TunesMate is 100% safe because your previous data stays untouched when syncing. All kinds of media files are supported, like music, videos, podcasts, photos, ringtones, playlists, etc. Customize ringtones from your iPhone music without any hassle. Transfer both purchased and non-purchased media files. Merge multiple iTunes libraries conveniently. Step 1: Connect your iPhone to your computer via USB or lightning cable. Step 2: Open iMyFone TunesMate. It will detect your iPhone. Step 3: Select ‘Music’ tab from the home interface of TunesMate. A new window will open, listing all the music available on your iPhone. 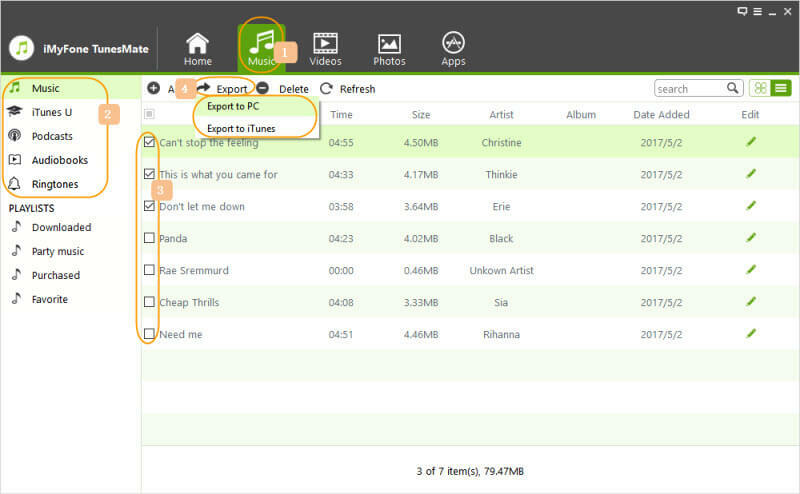 Step 4: Now select the songs that you want to transfer to your computer and then click Export > Export to PC. 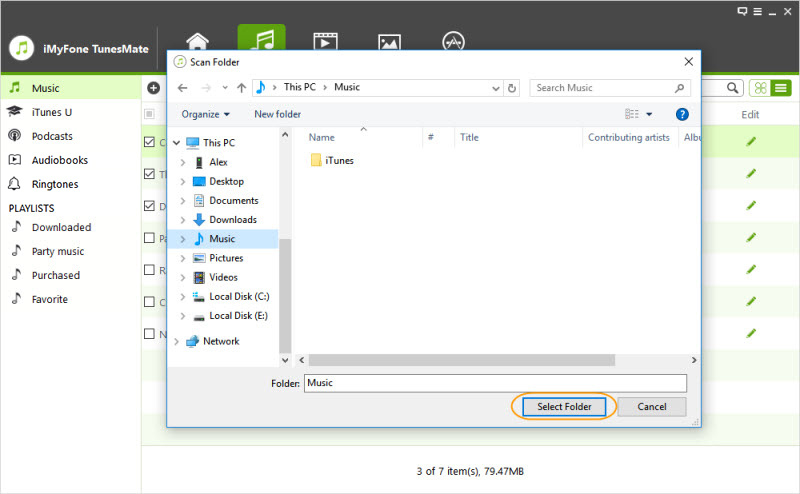 From tht pop up window, select the folder you want to transfer your music to, then click OK to start the process.